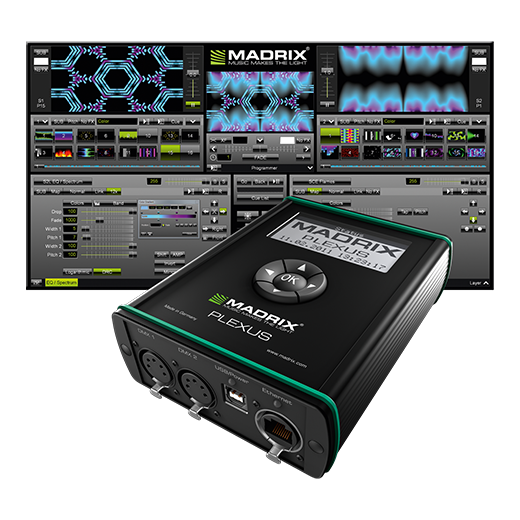 The MADRIX® Software is the preferred lighting tool of choice for industry professionals, lighting designers, operators, VJs, and enthusiasts all around the world. From small projects and events to high-profile architectural installations, the largest stages, and the most famous clubs, MADRIX® Software makes the most creative lighting designs possible. Thanks to very intuitive controls and enormous flexibility, you cancreate stunning lighting effects for your LEDs in no time. The application is a real-time effects generator for 2D pixel mapping and 3D voxel mapping with additional media server capabilities. Using the built-in graphics and rendering engine, fully customizable live visuals are created by you quickly and easily.